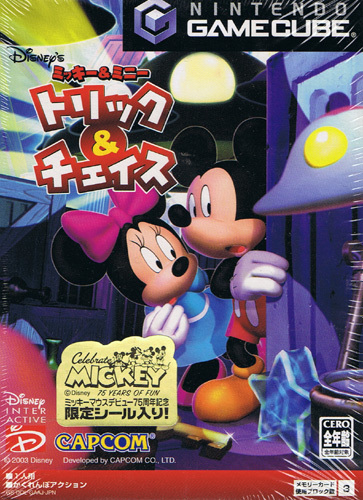 The Capcom/Disney combo once again delivers a visually pleasing title in which the player can take on as either Mickey or Minnie. 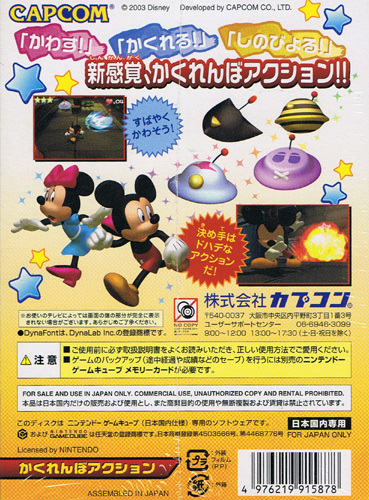 Metal Gear Solids influence has filtered down even to our Mickey as he sneaks past adversaries in true rodent style. Simple puzzles to solve and tricks to learn to baffle Big Pete et al. Nothing too cerebral but when it looks this good it makes it perfect for a quick blast. 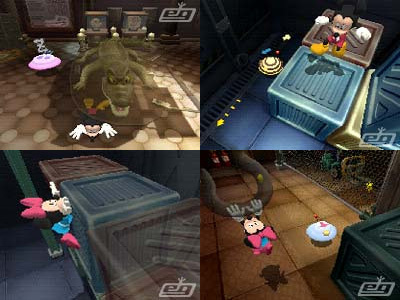 Also known as Disneys Hide & Seek.